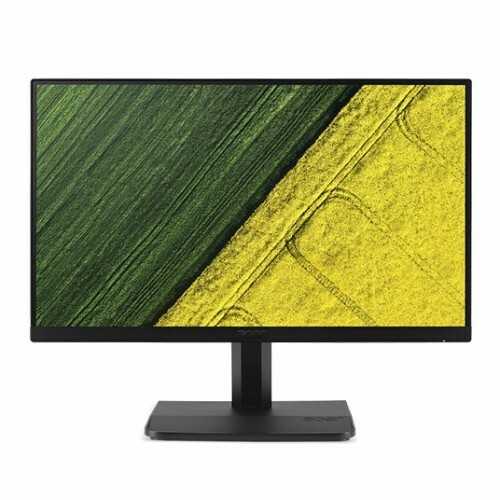 Acer ET221Q FHD (1920 x 1080) Resolution - Clearer, Sharper Images . ZeroFrame, Ultrathin Display - Improved Enjoyment and Maximum Visibility . 178ﾟWide Viewing Angle - To Preserve Image Clarity and Prime Colors. BlueLightShield™ Technology - Reduces Exposure to Blue Light.Flickerless™ Technology - Eliminates Screen Flicker. ComfyView & Low Dimming Technology - Reduces Reflections from Ambient Light Sources. Dual 2W Speakers – For Full, Vibrant Audio.